If you ever had a sore throat, then you know that it is no fun! Your throat is tender and painful, as well as feeling scratchy and burning. A really severe sore throat can even make swallowing or talking rather painful. But sore throats are not as straightforward as you may think. Sore throats are divided into three types, depending on which part of the throat is affected. One type is called pharyngitis which affects the area right behind at the mouth. Another version is tonsillitis, which is the swelling and redness of the tonsils, the soft tissue in the back of the mouth. And then there is laryngitis, the swelling and redness of the voice box, or laryngitis. Unfortunately, not all sore throats are the same, which makes them tricky to diagnose. Some sore throats are caused by a bacterial infection and others are viral in origin. About 90 percent of sore throats are the first sign or symptom of a viral infection that then turns into a cold or flu. The discomfort of a sore throat will generally disappear after a day or two to be followed by the typical flu symptoms, i.e., runny nose, congestion, cough, red or watery eyes and sneezing. The other type of sore throat, called a strep throat, is due to a streptococcus bacterial infection. Strep throats cause the throat and tonsils to be inflamed and painful. This type of sore throat may last two weeks or more, making swallowing and talking difficult. While strep throats are commonly diagnosed in children between the ages of 5 to 15, adults are by no means immune. Unlike a sore throat that is from a virus, a strep throat is a highly contagious bacterial infection spread by sneezing, coughing, sharing foods and drinks, etc. Another throat problem can be laryngitis, the inflammation of the voice box, or larynx, an organ in your upper neck just beyond the back of your throat. There are both infectious and noninfectious causes of laryngitis. However, the most common cause of laryngitis is a viral infection that lasts about one to two weeks. The non-infectious form of laryngitis can come from straining the vocal cords due to singing, talking or shouting. Breathing in chemical pollutants can also causes irritation and inflammation of the larynx. Excessively loud, prolonged and improper use of the voice can lead to strained vocal cords. This occupational hazard of overuse or misuse of vocal cords is a common problem for singers and professional speakers (and overly enthusiastic sports fans) resulting in hoarseness or temporary loss of their voice. Even coughing can irritate and inflame the vocal cords causing a sore throat and hoarse voice. Several conditions can also lead to problems in the mouth. A mouth ulcer, also known as canker sore, is a small painful lesion that develops in your mouth or at the base of your gums. Although they usually disappear after a week or two, and are not considered infectious or dangerous, they can certainly make eating, drinking, and even talking very uncomfortable. While there seems to be no definite causes, some of the potential triggers include nutritional deficiencies, stress, viral or bacterial infections, and food sensitivities. Another common mouth problem is dry mouth, or the lack of adequate saliva production. Contrary to popular belief, dry mouth is not a normal part of aging. It is, however, the result of compromised functioning of your saliva glands. Medications often list dry mouth as a recognized side effect. In fact, there are more than 500 prescriptions and overthe- counter medications that cause dry mouth.2 Other causes include dehydration, mouth breathing, autoimmune diseases and radiation treatments for cancer. Adequate saliva helps prevent tooth decay by neutralizing acids produced by bacteria, limiting bacterial growth and washing away food particles. Saliva also enhances the ability to taste. Lack of saliva will reduce the presence of enzymes, which are necessary for proper digestion. A persistent dry mouth condition can, therefore, be the source of many health issues. When it comes to the health concerns affecting our mouth and throat, there are, in fact, few safe and effective pharmaceutical options. The viral form of strep throat has no medical interventions while antibiotics are prescribed for the bacterial version, increasing the risk of antibiotic resistance. Most cases of laryngitis or strained vocal cords are cured by resting the voice and limiting talking. While canker sores and dry mouth remain a serious problem for many people, there are only limited solutions available for resolving these problems. The powerful duo of SilverSol® nano-silver and New Zealand Manuka honey, found in the new Silver Biotics® Silver Lozenges, is the latest breakthrough formula by American Biotech Labs LLC. This unique product has the proven ability to resolve throat irritation, while at the same time soothing hoarseness and strained vocal cords and increasing saliva production. It is formulated with a high concentration of SilverSol at 60 parts per million(ppm) for effective throat soothing action. For thousands of years, various forms of silver solutions have been used for a wide variety of issues. 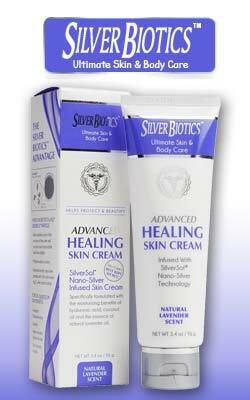 Even the famous Greek healer, Hippocrates, praised silver for its ability to promote healing and improve recovery rates. American Biotech Labs (winner of numerous medical innovation awards) has developed one of the most effective nano-silver technologies in the world. They currently hold more than 400 independent studies/test series from more than 60 different private, US government, military and also university labs, on their products. Their innovative scientific, published medical reports have challenged some of the greatest scientists in the world, covering topics such as HIV, Malaria, Bird Flu, Influenza A (H3N2), MRSA, VRE, and numerous other problem pathogens. As evidence of safety and efficacy, their innovative silver products have received numerous government clearances and approvals from around the world. Raw honey is truly a healing balm. Its wound healing benefits have been know for thousands of years. Raw honey is known for its potent antiviral and antibacterial properties. Manuka honey has been proven to be a far superior form of honey. Manuka honey is made from bees pollinating the flowers of the Manuka bush, which grows wild in New Zealand. The Manuka Bush, Leptospermum species of the shrub, contains exceptionally strong antibacterial compounds. A special global standard was created to identify and measure the antibacterial strength of Manuka honey. This Unique Manuka Factor (UMF) rating insures the medicinal strength of the honey being sold. Only New Zealand honey from the Manuka bush is eligible to receive this rating. Based on the UMF rating system, a UMF number of at least 5 guarantees therapeutic amounts of the antibacterial properties of hydrogen peroxide and Methylglyoxal in a Manuka honey product. Beyond it antibacterial effects, Manuka honey is renown for healing sore and inflamed throats, heals mouth ulcers, helps strep throats from either viral or bacterial infections, soothes hoarse throats and moistens dry mouth. There is no doubt about it. The synergy of SilverSol Technology. and Manuka Honey (UMF) in the Silver Biotic Silver Lozenges makes a powerful one two punch for the many challenges for a healthy mouth and throat. This dynamic combination soothes sore throats and laryngitis (due to hoarse or strained vocal cords), and is beneficial for dry mouth issues. Aside from the many medicinal benefits, Silver Biotics Silver Lozenges are a great way to support and enhance your immune system. Since they are formulated with a 60 ppm concentration of SilverSol Nano-Silver, they can also be taken to strengthen and enhance your immunity! So, whether you desire added protection during flu season or want to stay healthy while traveling on airplanes, etc, Silver Biotics Silver Lozenges should be a part of your preventative plan. Silver Biotics Silver Lozenges are made with certified New Zealand Manuka honey (UMF10) guaranteed for purity and potency. The natural mint flavoring also gives the lozenges a great taste! All the ingredients are organic and natural as well as free of gluten, soy and nuts! Once again we have to thank nature for a safe and effective solution to the many health challenges affecting our mouth and throat. Silver Biotics Silver Lozenges should always be at the ready whenever there is the very first sign of a tickle, cough or hoarseness! But also remember, they are a healthy treat for you and your immune system!